Win a fantastic dream house for your child or grandchild! 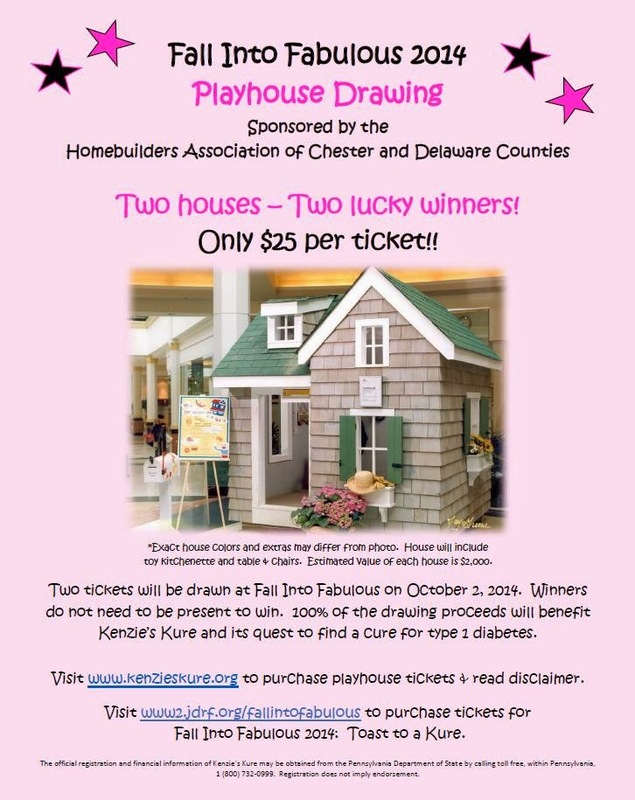 Enter to win one of two playhouses. This drawing is sponsored by the Homebuilders Association of Chester and Delaware Counties. Two tickets will be drawn at Fall Into Fabulous on October 2, 2014. Winners do not need to be present to win. 100% of the drawing proceeds will benefit Kenzie’s Kure and its quest to find a cure for type 1 diabetes. Visit www.kenzieskure.org to purchase playhouse tickets & read disclaimer. Visit www2.jdrf.org/fallintofabulous to purchase tickets for Fall Into Fabulous 2014: Toast to a Kure. 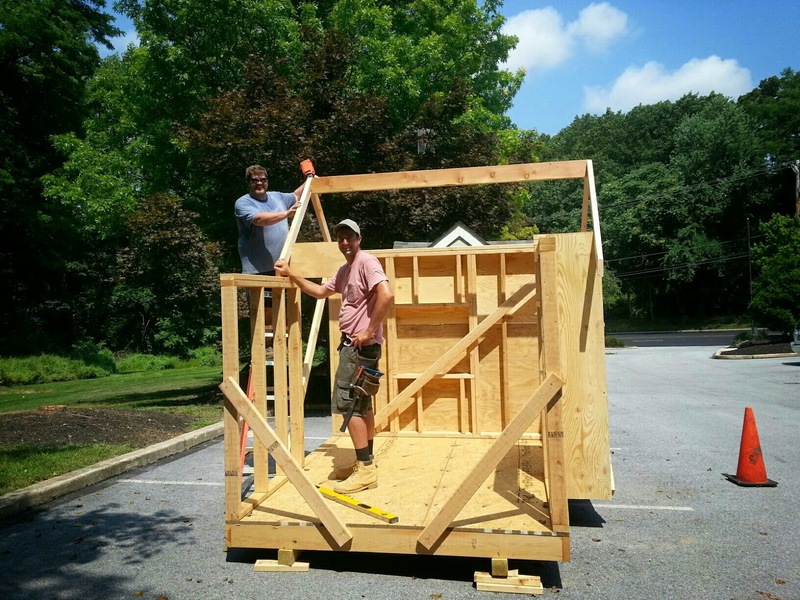 Pohlig employees John Lyon and Dave Monk are hard at work building these fantastic playhouses for the HBA drawing. Enter to win today!